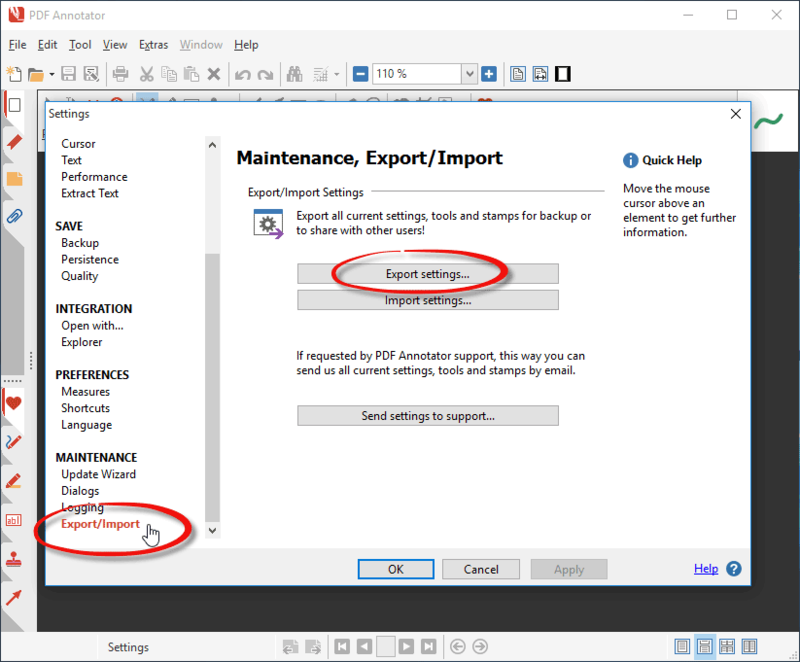 PDF Annotator can help you to back up all the settings and tools defined in your existing installation. Even stamps and custom tools you created in PDF Annotator will be backed up. 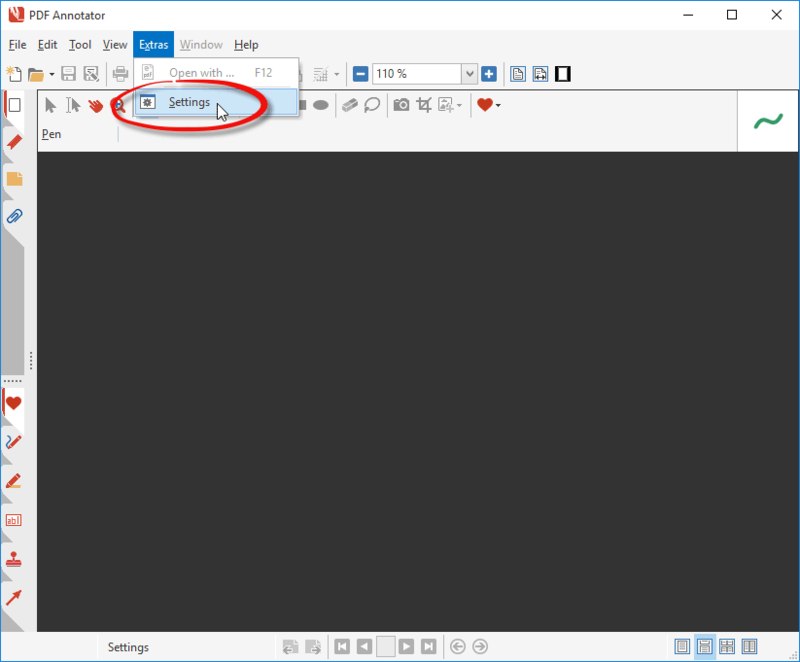 First, start PDF Annotator and click Extras, Settings. In the Settings window, scroll down the list on the left until you see the Export/Import option and click it. Now, press the Export Settings... button. Your settings will all be saved into a single file named PASettings.PAZ. Select a location to save this file, this file is your PDF Annotator settings backup! That's it! Keep your backup file in a safe location and/or copy it to a remote backup location. Remember to make additional backups from time to time. 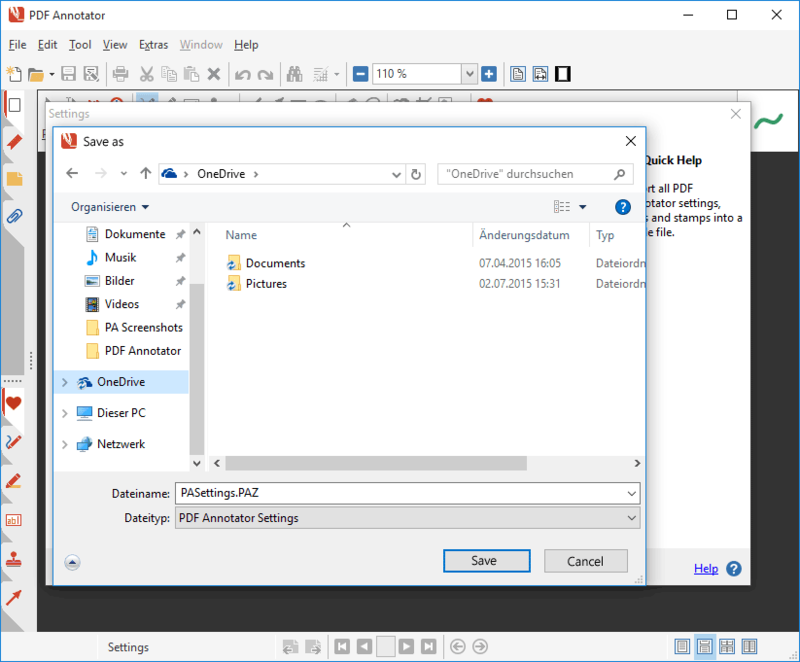 Now, you can always restore your PDF Annotator settings from this backup file.